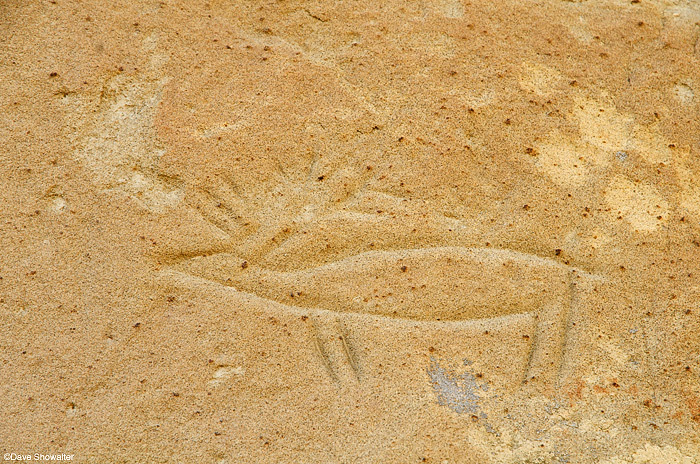 An elk or deer petroglyph carved in stone at the White Mountain Area of Critical Environmental Concern. Northern Red Desert, Wyoming. Photo © copyright by Dave Showalter.